A woman who owns a children’s hair salon is accusing Dash of threatening her life has been successfully granted a temporary restraining order against the music mogul. 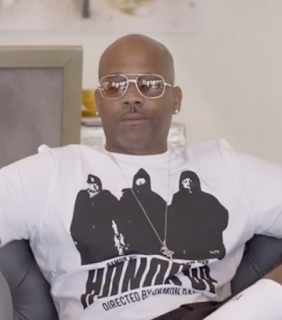 A judge recently granted Patrice Miner, owner of a children’s hair salon, a restraining order against Dame Dash. The mogul has been barred from coming within 30 yards of her or her hair salon. Miner, who says Dash is an “investor and customer,” claims the Roc-A-Fella co-founder went inside of her hair salon and “walked up to me and threaten my life.” She alleges that Dash took a customer and proceeded to throw him out of the shop. Miner claims Dash said that she was “so lucky” there were people inside of the shop after he threw the customer outside of the store. Aside from this incident, Miner accused Dash of causing a scene and calling her names in front of the customers inside of the store. She said that he “yelled and screamed and called me an idiot in front of guests and customers.” In the documents Miner filed to request the temporary restraining order against Dash, Miner revealed that she didn’t give Dash any notice because she “was afraid that the violence would reoccur when I gave notice I was asking for these orders.” Although Miner was granted a temporary restraining order, there will be a hearing later this month to make it permanent.